Waterways on par with the best of Norway, classical towns and villages that conjure images of Italy, rugged peaks that rival Switzerland…and all hidden away in a small European country just waiting for you to visit. With our Montenegro tourism guide, you’re sure to lose yourself in this magical corner of the world. As with many countries, late spring and early fall are the best times to visit – with ideal weather, less crowds, and lower prices. Summer can get very hot and some places may book up (though not quite to the degree of neighbouring countries). Winter is the time to go for avid skiers who want to take advantage of Montenegro’s mountain resorts. Montenegro is a former-Yugoslav country found in Southeastern Europe. 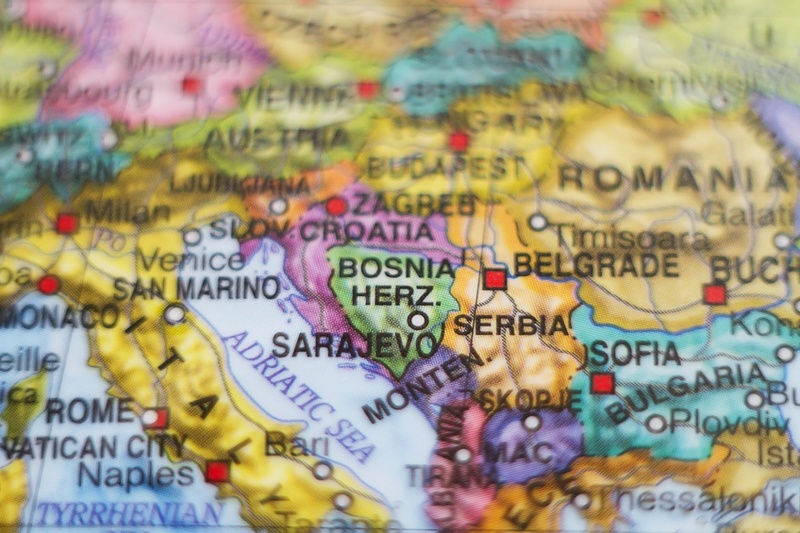 Besides a coastline along the Adriatic Sea, the country borders Croatia, Bosnia and Herzegovina, Albania, Serbia, and Kosovo. How do I travel in Montenegro? Buses are the most common form of public transportation in Montenegro, and will be able to get you between most cities and towns. Exploring by rental car is also an option, though some of the back roads can be sketchy at best. There are also some trains though they are not as comprehensive and are relatively old. Montenegrin is the official language of Montenegro although Serbian, Bosnian, Croatian, and Albanian are all spoken (all of which are very similar except for Albanian). English is spoken along the coast and in the capital, but this may not be the case in some rural/northern areas of the country. 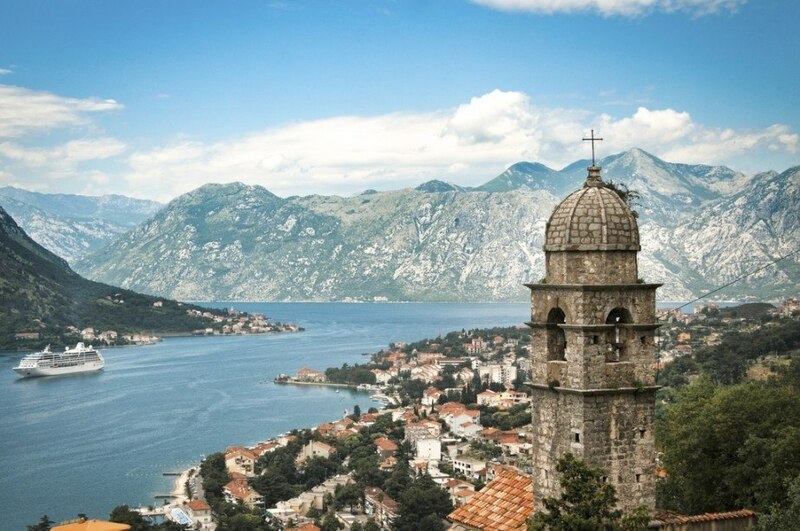 If you’re going to visit one place in Montenegro, there’s only one right answer…the Bay of Kotor. Words can’t do this place justice; just know that it is one of the most picturesque and beautiful places in all of Europe. As you move into the Bay from the Adriatic Sea, the towering peaks that line the waters reach ever higher and create a landscape often referred to as the fjord of the Mediterranean. Indeed, the grandeur of the Bay is only rivaled by the imposing waterways far to the north in Norway (or half a world away in New Zealand) – and it’s all packaged with a slice of Mediterranean and southern European living. So what is there to do here? Classical towns such as Perast offer a relaxed look into the daily life of Montenegrins while a hike up magnificent Mount Lovcen delivers unparalleled views of the surrounding region. The crown jewel however is Kotor itself. This medieval town rests in the shadow of the mountains while the cafes, stores, alleyways, and squares are ripe for exploration. Best of all, the town (and the bay itself) remains mercifully free of the cruise ships and hundreds of day-trippers that are common in the other nearby coastal cities like Croatia’s magnificent Dubrovnik. 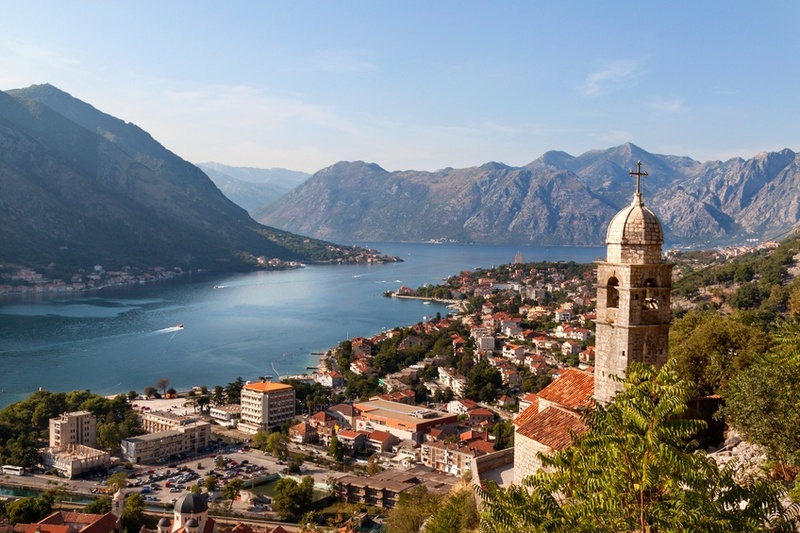 You could spend weeks in and around the Bay of Kotor alone – and we very much recommend that you do! While nothing else in Montenegro can quite compare to Kotor (and let’s be honest, few places can), there’s still plenty more to see. 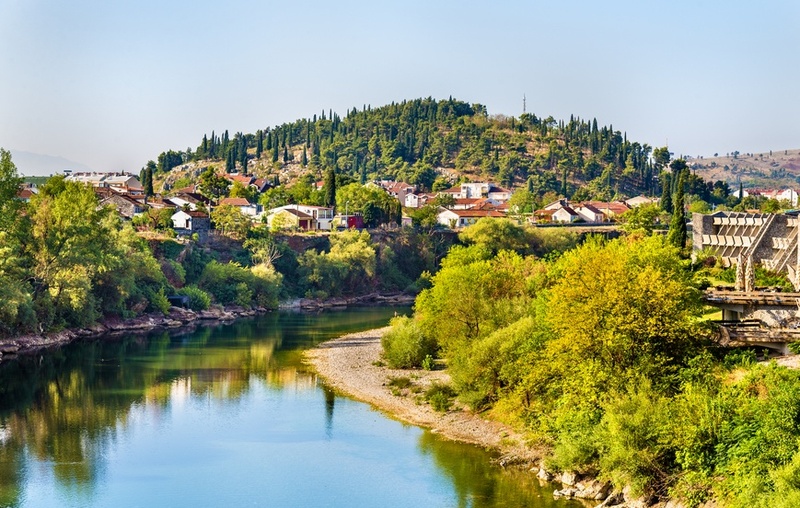 For example Podgorica, the country’s capital and largest city, is a relaxed yet enjoyable European hotspot with ample parks, cultural arts, and bars. While the aesthetic may not live up to the classical elegance of some of the country’s best, it is certainly worth a look thanks to the lively atmosphere. The historic Cetinje is another Montenegrin city worth visiting. It was once the capital and remnants of this past can still be seen throughout the city today. 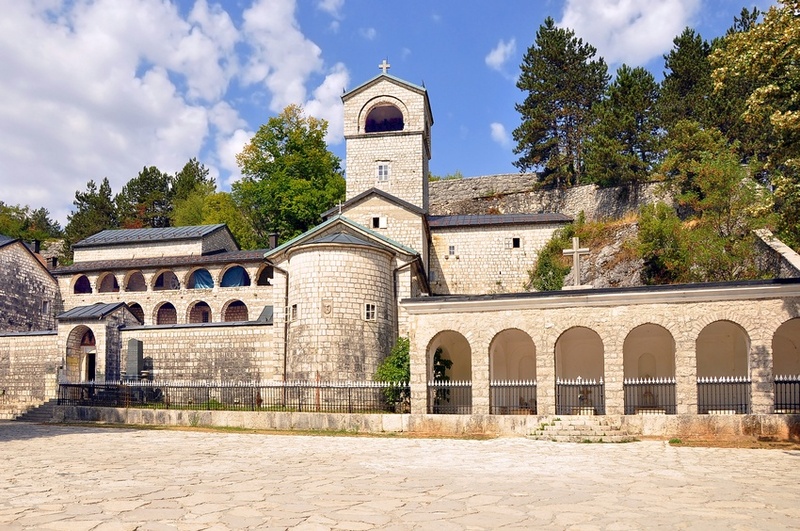 While it may be the former centre of governance, Cetinje remains a hub of culture and religion in the country – ensuring the city has a place in the modern Montenegro as well. Of course like most of the country, Cetinje also boasts a stellar backdrop with mountains rising towards the heavens in the distance. If you really want to understand Montenegro, you have to visit Cetinje. We’ve already been on quite a journey and haven’t yet touched on one of Montenegro’s biggest selling features – the beaches. While the Bay of Kotor is the most impressive landmark along the Adriatic Coast, some of us just want to relax on the warm sand, soaking up the rays of sun. If this is why you’re here, the picturesque town of Budva is where you need to be. Of course there’s a great beach, but the exciting nightlife and cultural scene is what sets Budva apart – making it arguably Montenegro’s most exciting destination. Wandering around the Old Town is a must when you have some down time; just expect the revelers to be out in force once the sun sets. 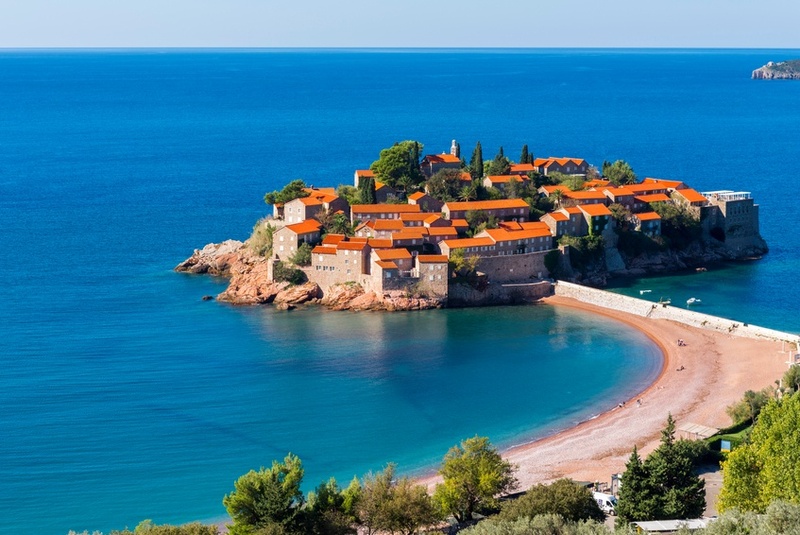 Just southeast of Budva is the resort/island of Sveti Stefan. It’s perhaps one of the most unique and eye-catching collection of buildings in Europe, with a narrow causeway separating them from the shore. You’ll also find some great beaches and a small town cropping up on the mainland to explore. The main downside here is that the entire island is a 5-star resort, and can only be visited by guests. 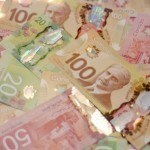 This makes it a luxury escape geared towards those with some disposable income to throw around. So while it may not be attainable for everyone, we felt that it deserved a place on our list nonetheless – and those who are lucky enough to visit will definitely agree. 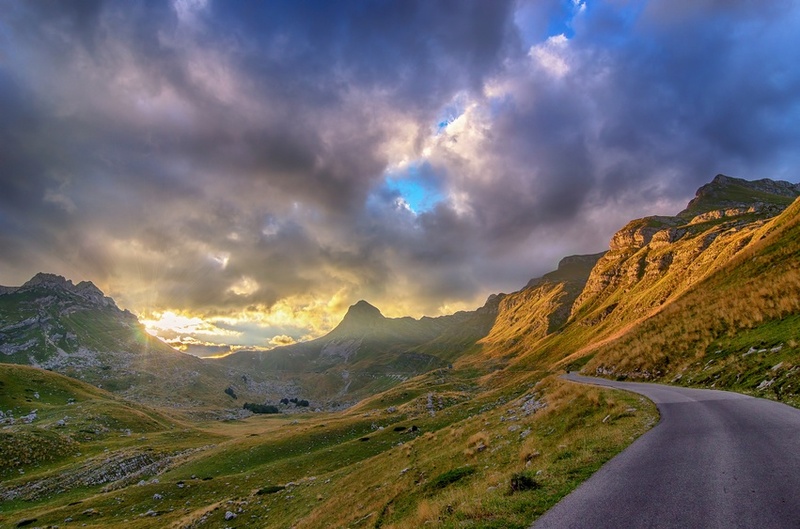 While the coast and inlets offer some of the most spectacular landscapes in this part of the world, Montenegro is also well known for its rugged mountains. 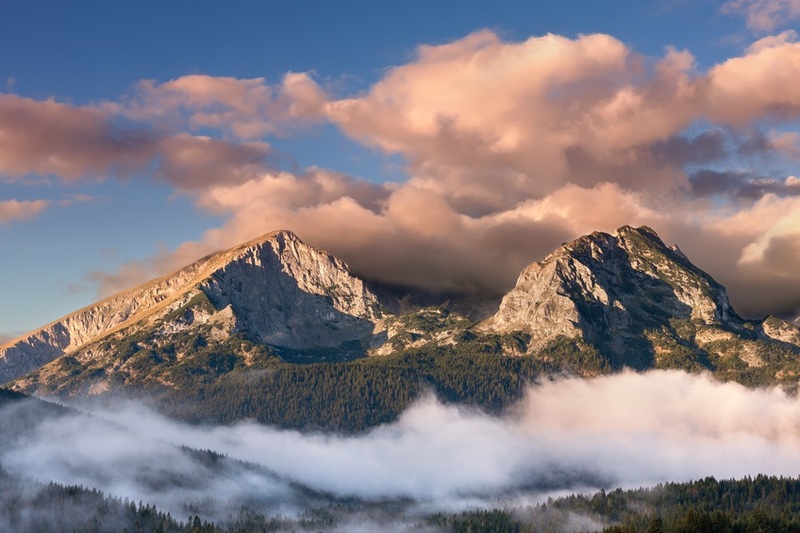 In the north of the country, you’ll happen upon Durmitor National Park. The peaks, valleys, gorges, and forests are beyond impressive, while there are tons of opportunities for aspiring hikers and skiers (season depending). While not the highest mountain in Montenegro, Bobotov Kuk is a rewarding hike with stunning views over much of the country on a good day. This is Montenegro for the explorers, and a must-see once you’ve had your fill of Adriatic life. Round trip flights between Pearson and Podgorica start at about the $1300 Canadian mark, though they can be found for cheaper. As always with Europe, it sometimes saves to fly into a different country and make your way to your final destination by regional budget transportation. In the case of Montenegro, there are many exciting countries near by (such as Croatia) that could also be worth a look. How much does it cost to visit Montenegro? Though not a member of the eurozone or the EU, Montenegro has unilaterally adopted the euro as its currency. 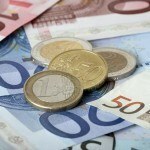 As a result, prices are similar to nearby eurozone countries – although slightly cheaper for the most part. Expect to spend about an average of $87 a day with a budget of $35 for accommodation and $30 for food. Thrifty travellers could potentially spend as little as $40 a day while the higher end of travel will set you back about $186 a day. Montenegro is a mostly safe country with no advisory and normal security precautions recommended throughout by the Canadian government. While crime is fairly scarce, you should still be aware of pickpockets in busy areas and on public transportation. In addition, car theft can be a problem so it is not advised to leave valuables inside vehicles. You should be wary around the border with Kosovo, as there is ample security forces activity. Only travel around the Kula pass (the sole official entry/exit). Lastly, some rural roads are not in great condition with mountain driving especially dangerous in some areas. For more on travel safety, check out the Canadian Travel Advisory for Montenegro. Share your experience in the comments section! You can also learn more about Montenegro in the Country of the Week, and then buy your euros with FXtoGO.